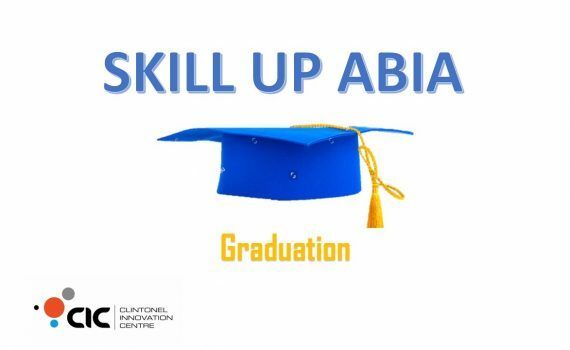 We are pleased to invite you to Skill Up Abia Graduation. 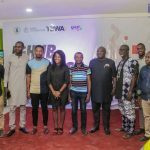 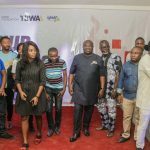 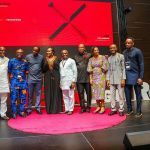 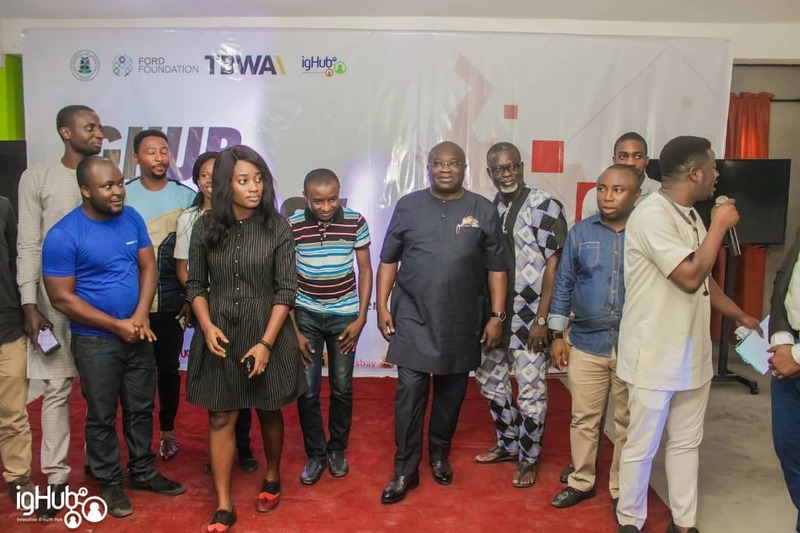 There will be a Startup Pitch Competition for 10 shortlisted startups emerging from Skill Up Abia. 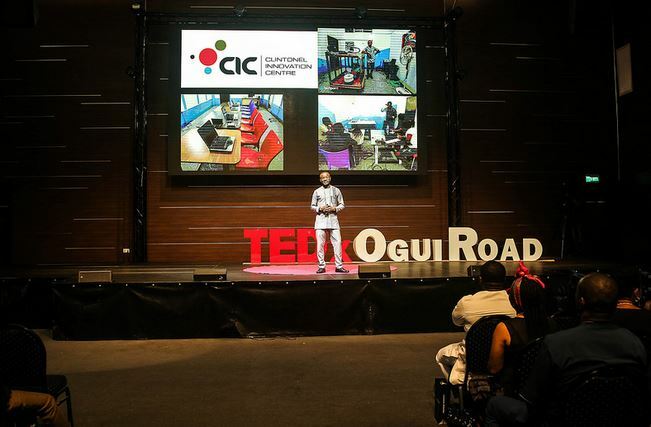 Three winners will be selected to participate in CIC Business Incubation program. 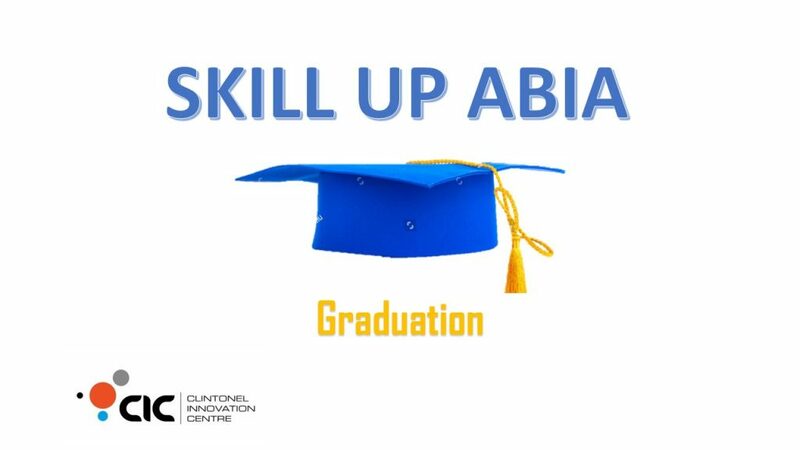 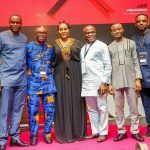 Skill Up Abia (SUPA) is a youth employment program of Clintonel Innovation Centre (CIC) Aba supported by Foundation for Partnership Initiatives in the Niger Delta (PIND). 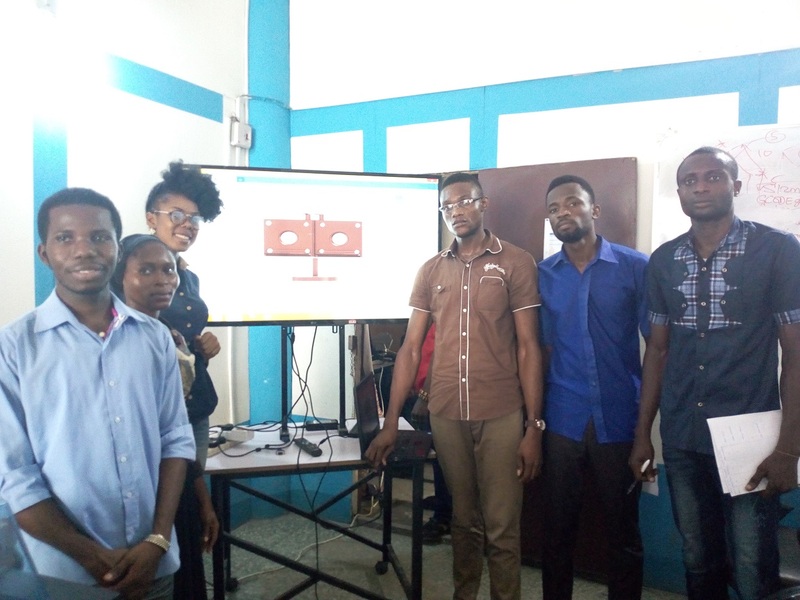 Clintonel Innovation Centre is Nigeria’s first indigenous Markerspace and Hardware Incubator, Proudly Made in Aba. 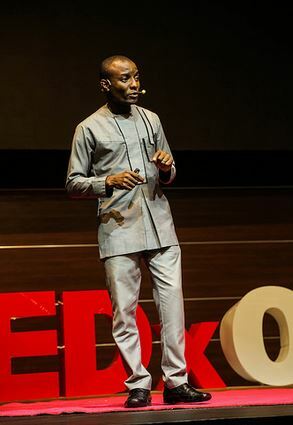 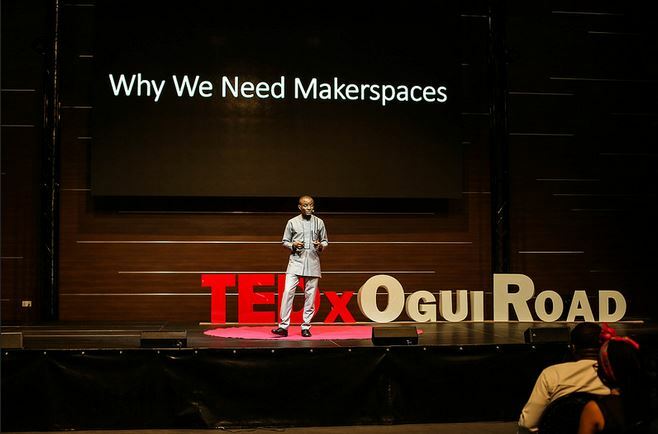 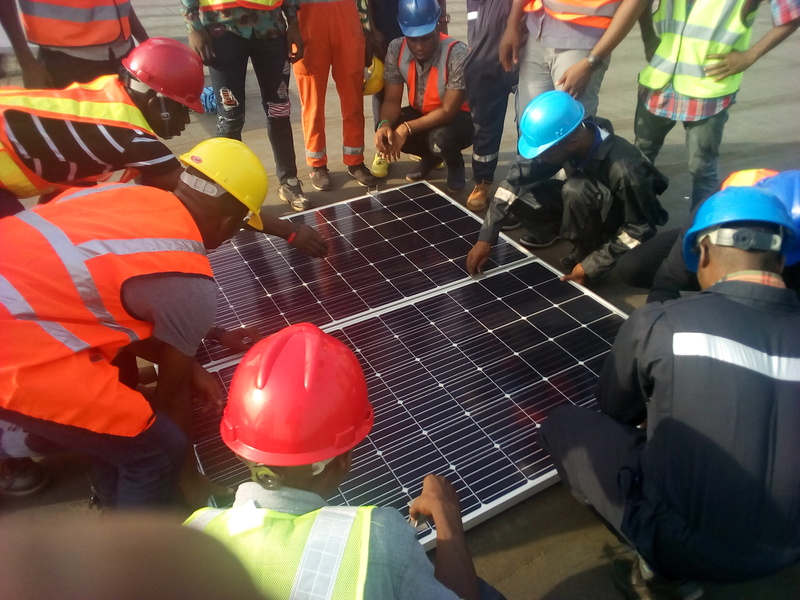 Our Vision is to transform Nigeria into a technology producer, creating millions of employment for young Nigerians. 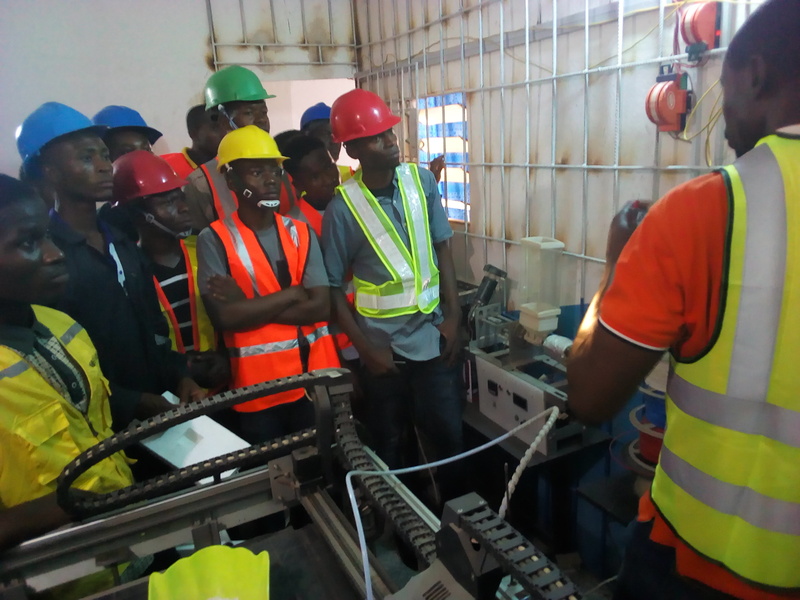 We develop capacity in Nigeria for technology development and manufacturing. 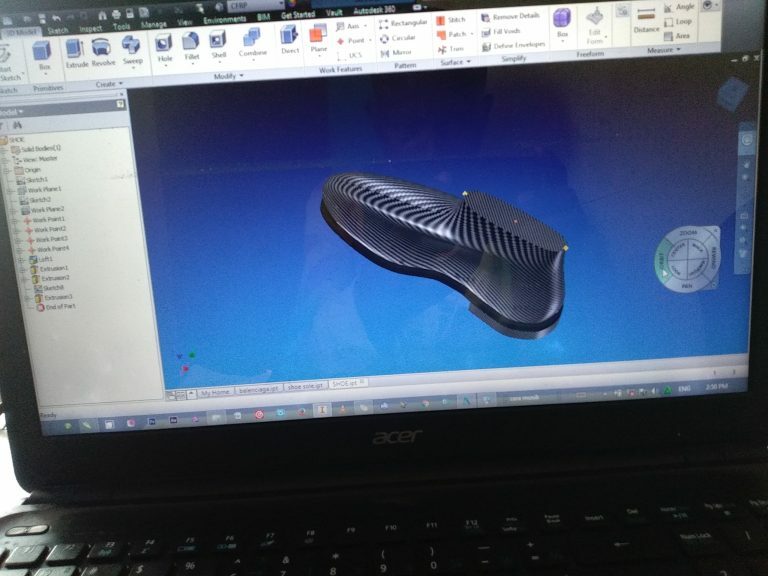 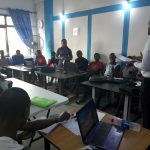 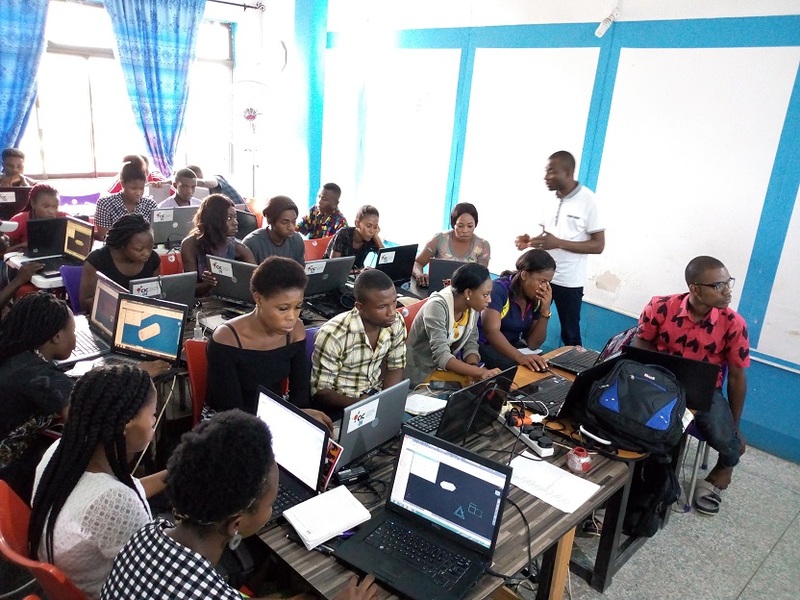 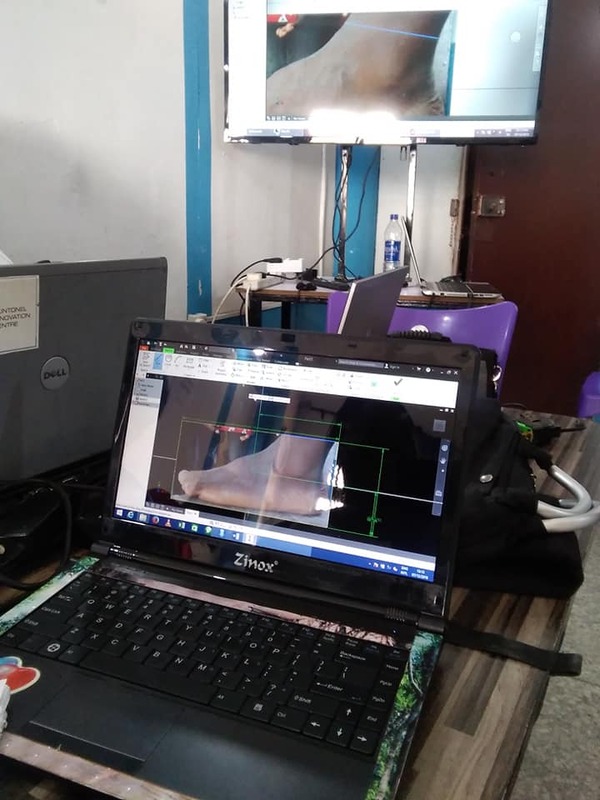 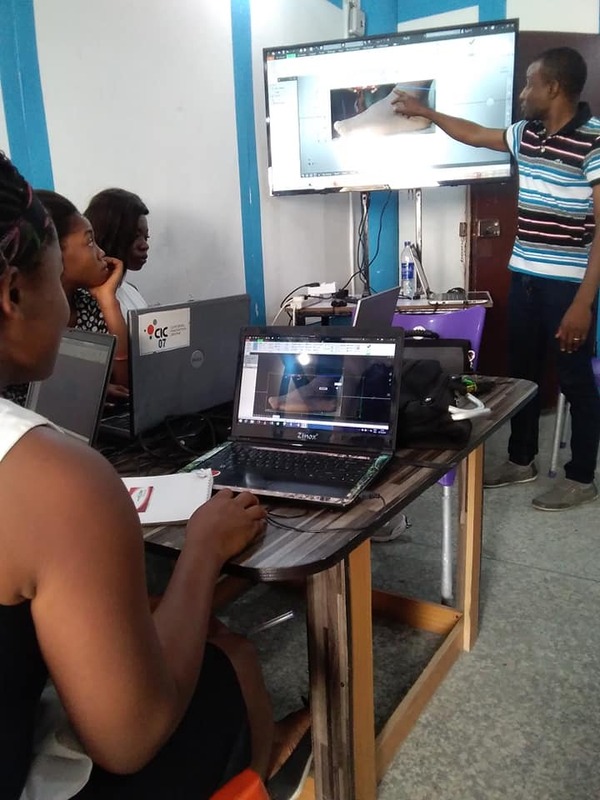 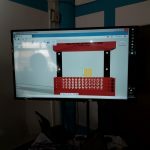 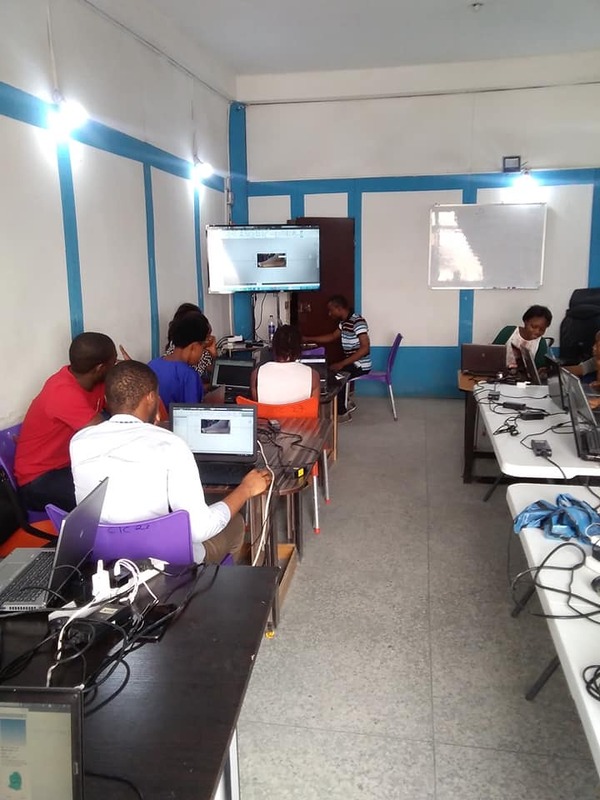 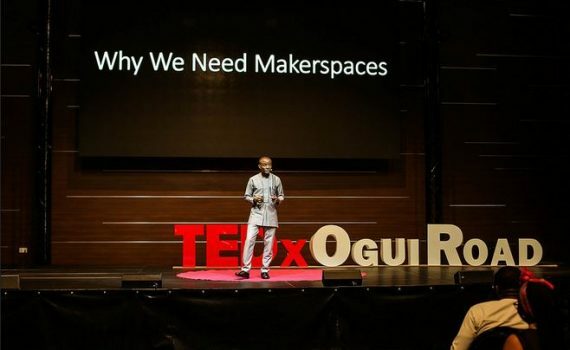 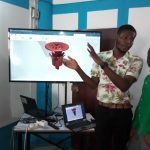 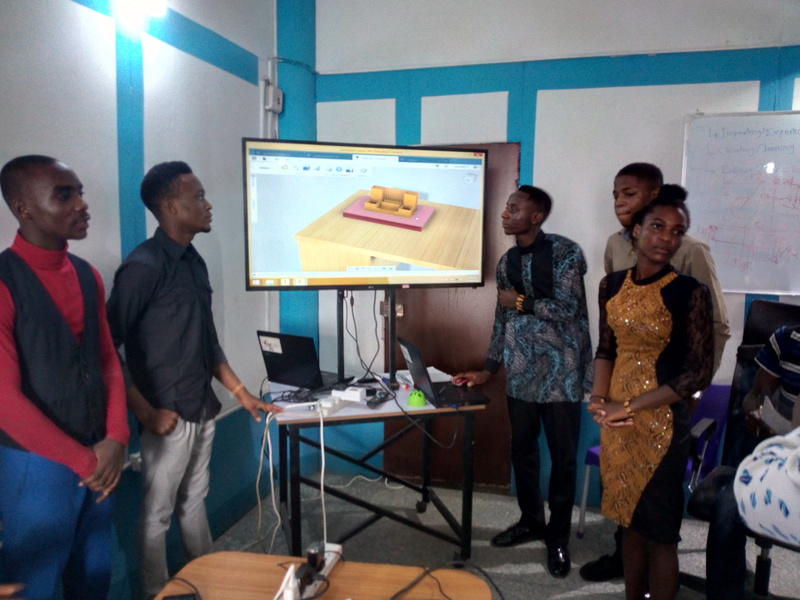 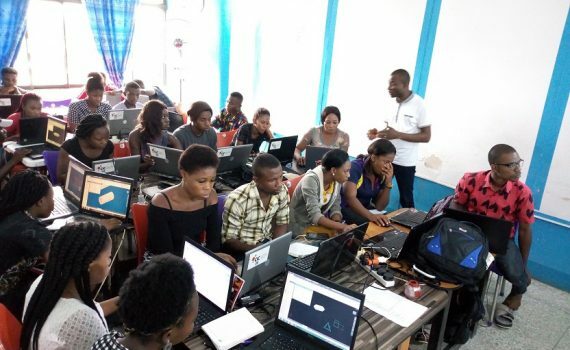 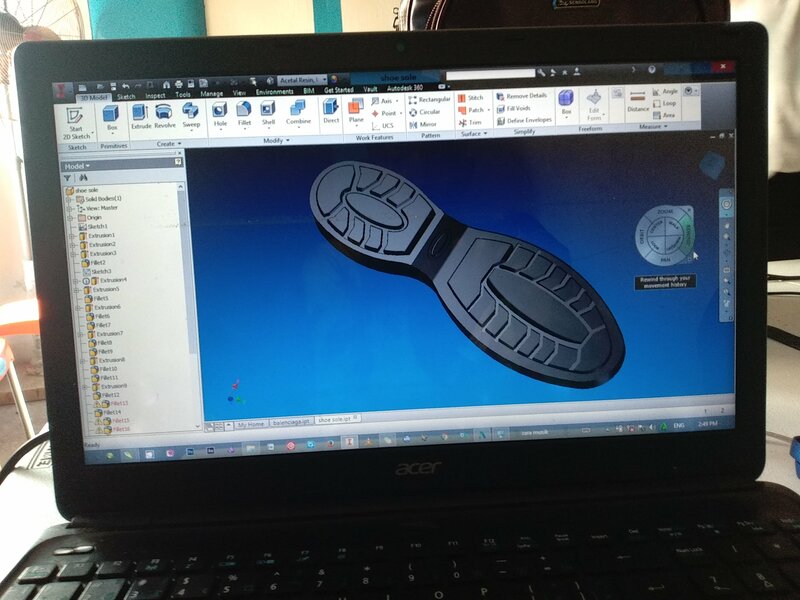 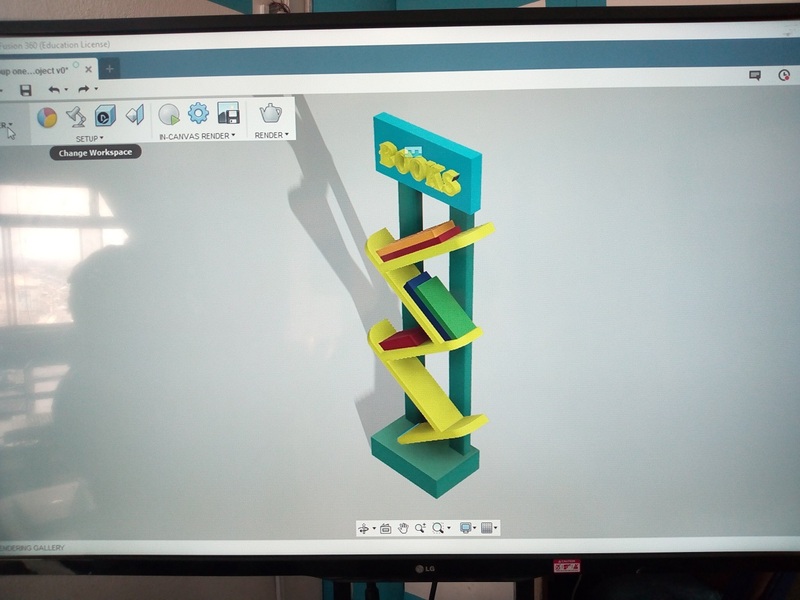 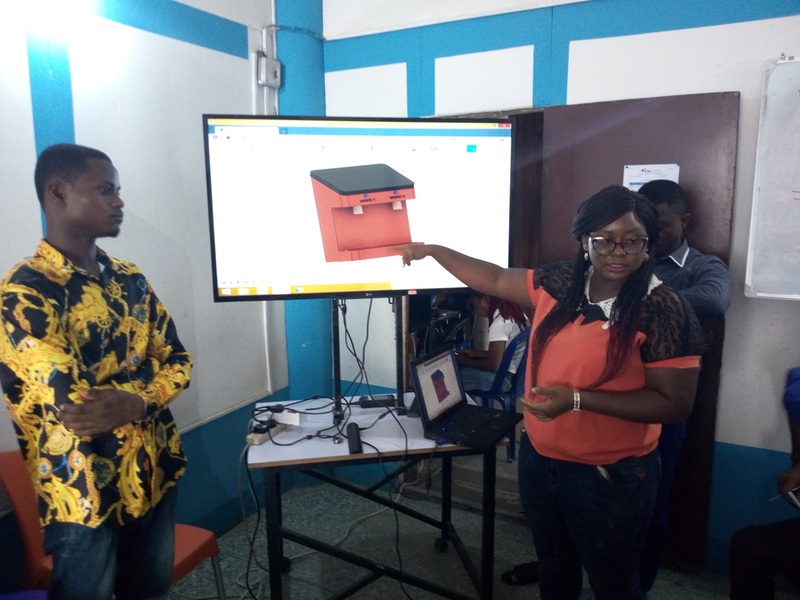 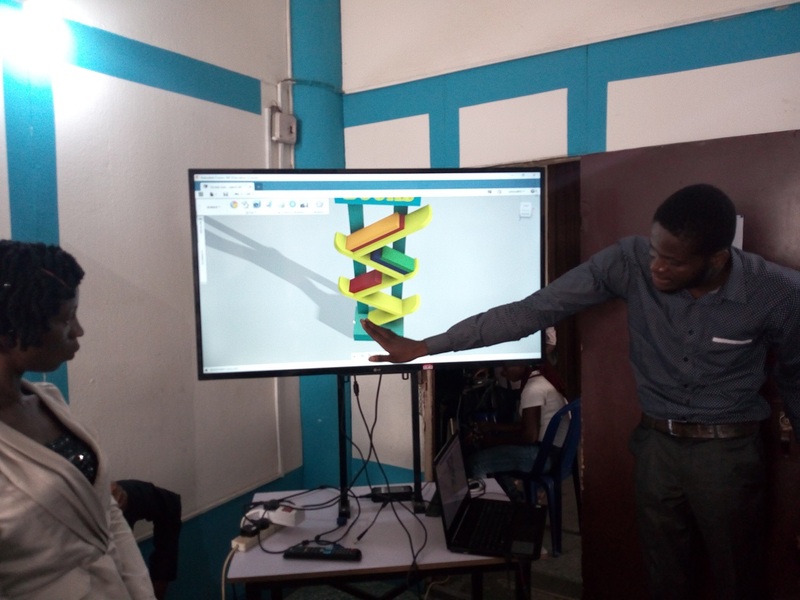 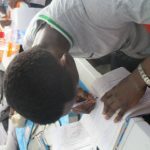 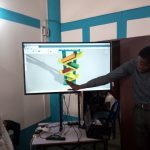 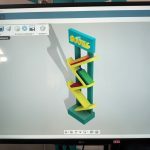 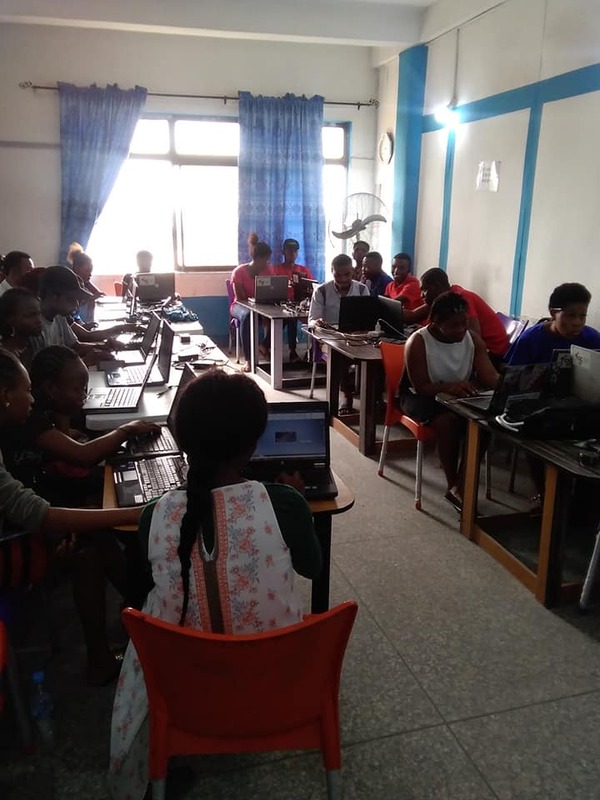 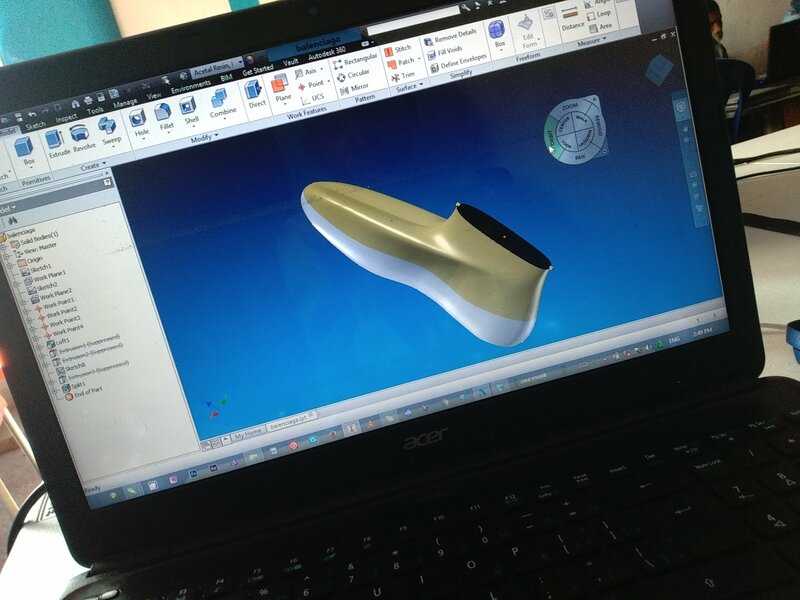 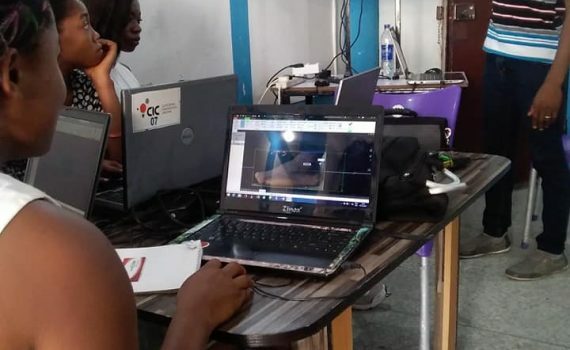 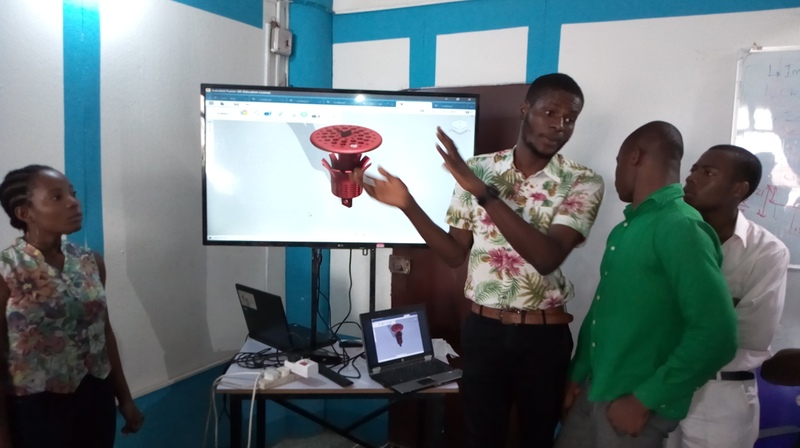 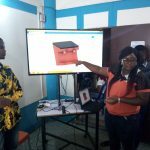 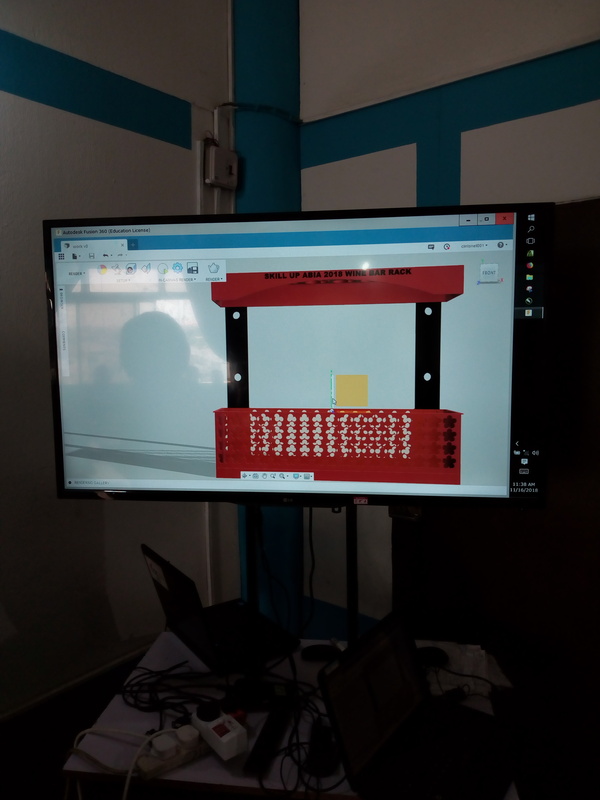 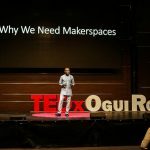 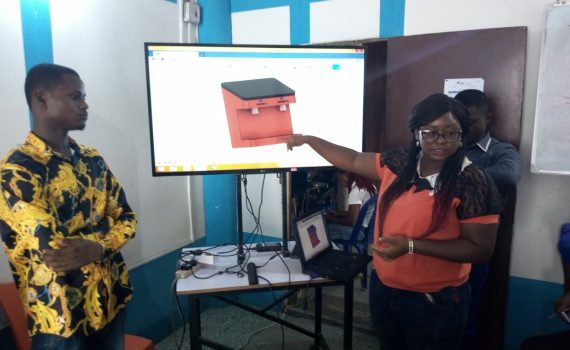 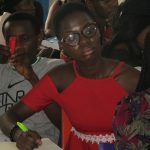 Participants in Skill Up Abia are equipped with Market Ready Skills in Emerging Markets including: Computer Aided Design (CAD), Computer Aided Manufacturing (CAM) and Renewable Energy. 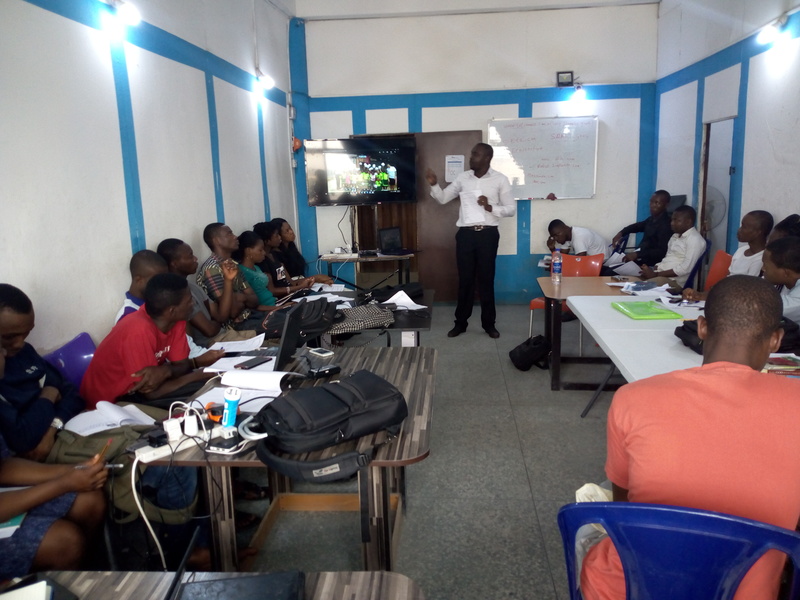 Some of the trainees graduate and start up new businesses, some secure jobs in existing companies while the rest become self-employed freelancers. 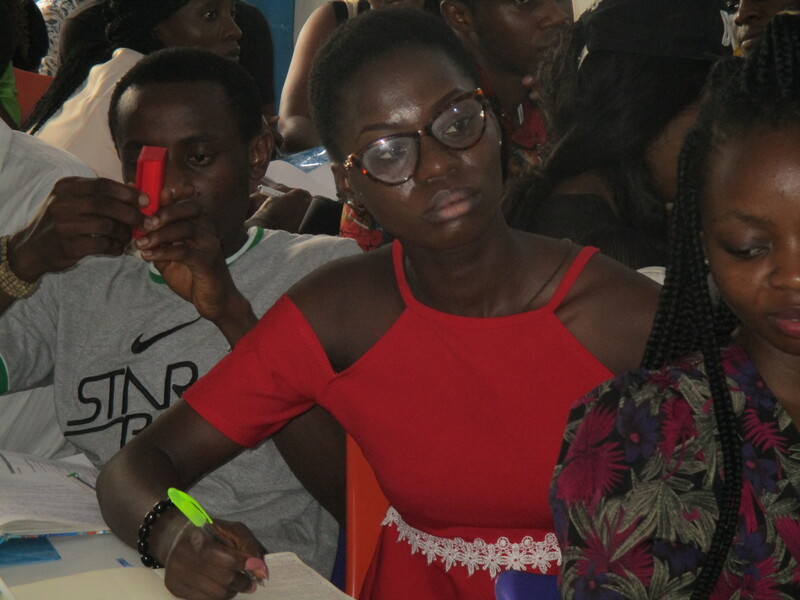 Thank you for the honour of your presence. 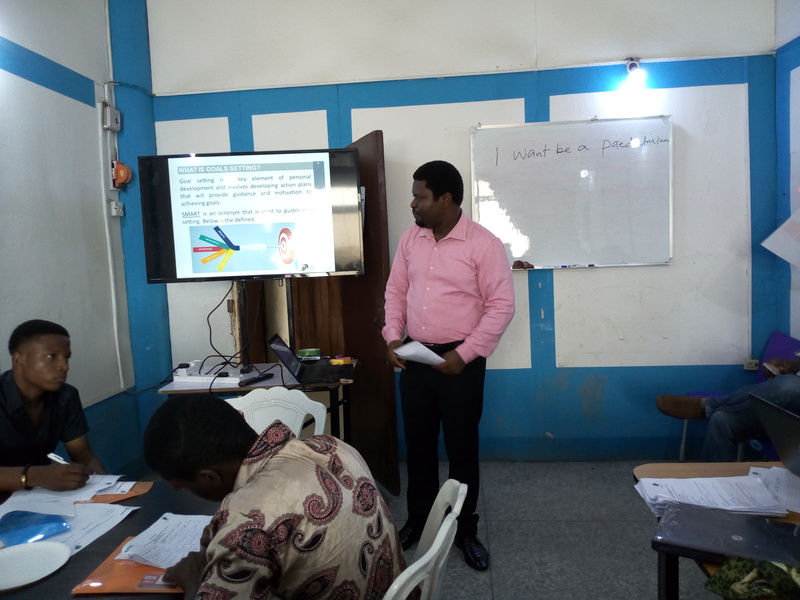 Today at Clintonel Innovation Centre – CIC, #SkillUpAbia graduating class was taught soft skills to complement their technical skills. 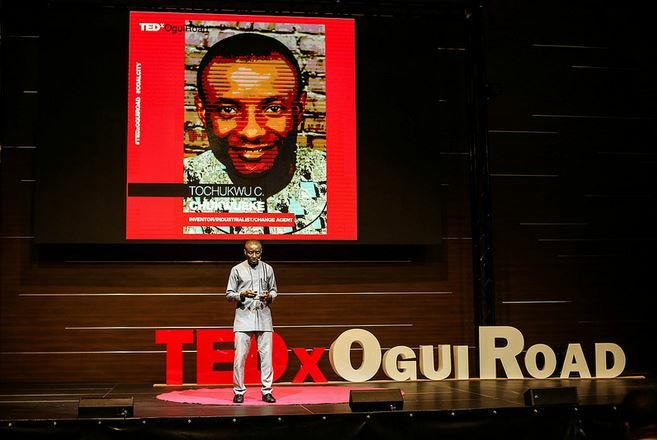 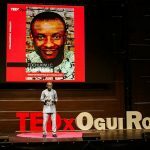 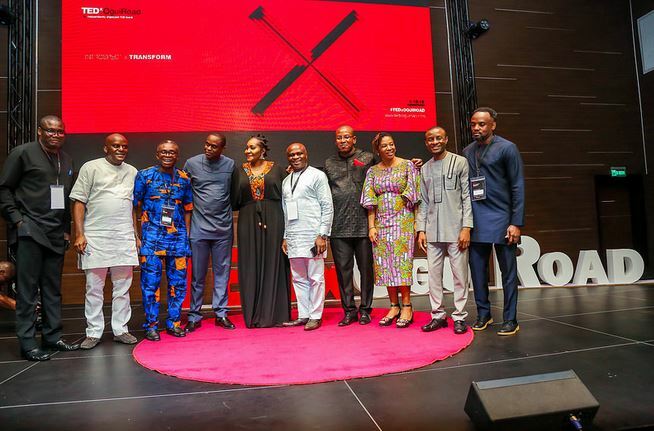 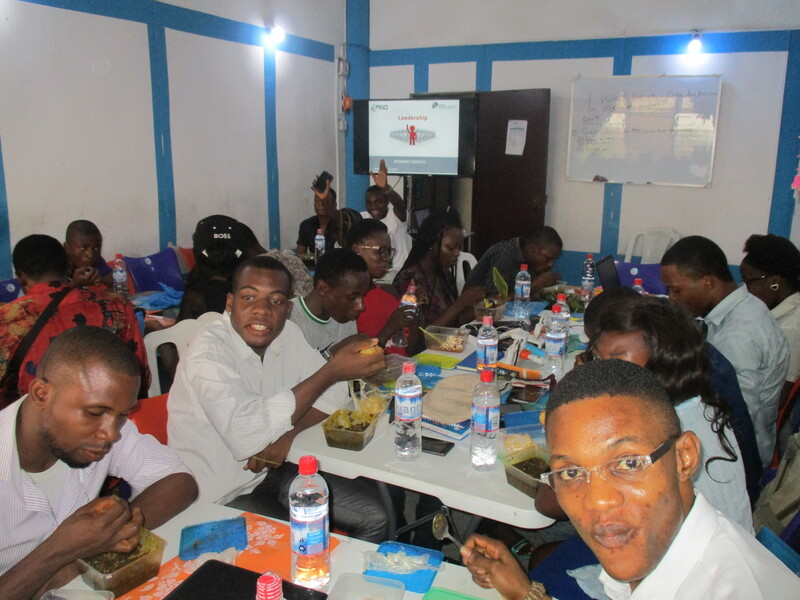 They were equipped with tools for strategic thinking, personal effectiveness, competent leadership, and right orientation to work. 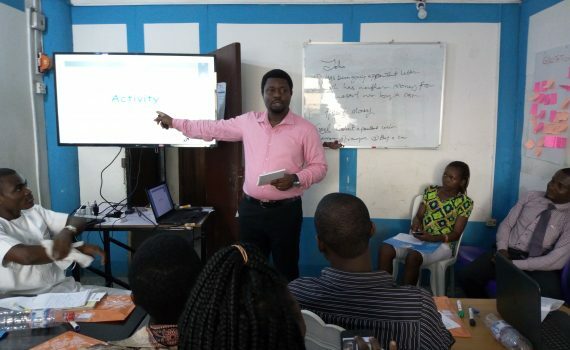 The training was facilitated by Wider Perspectives Ltd, a top management consulting firm. 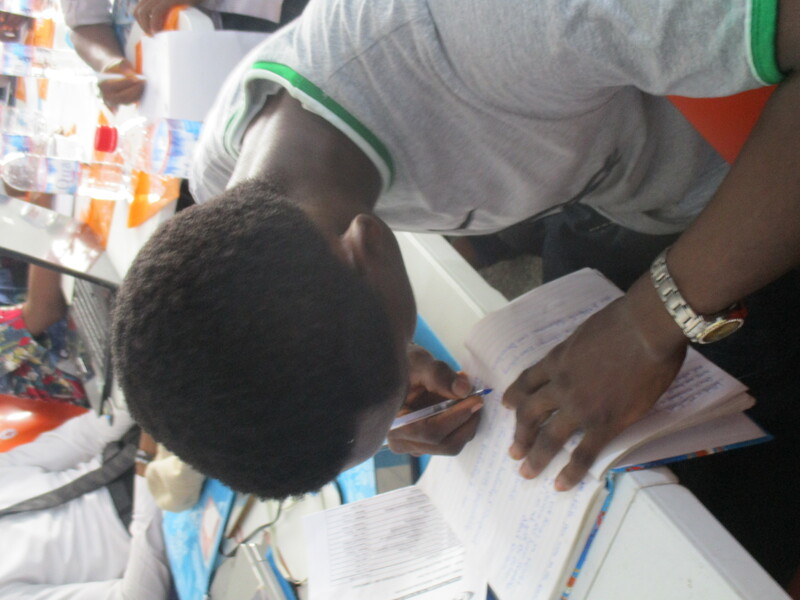 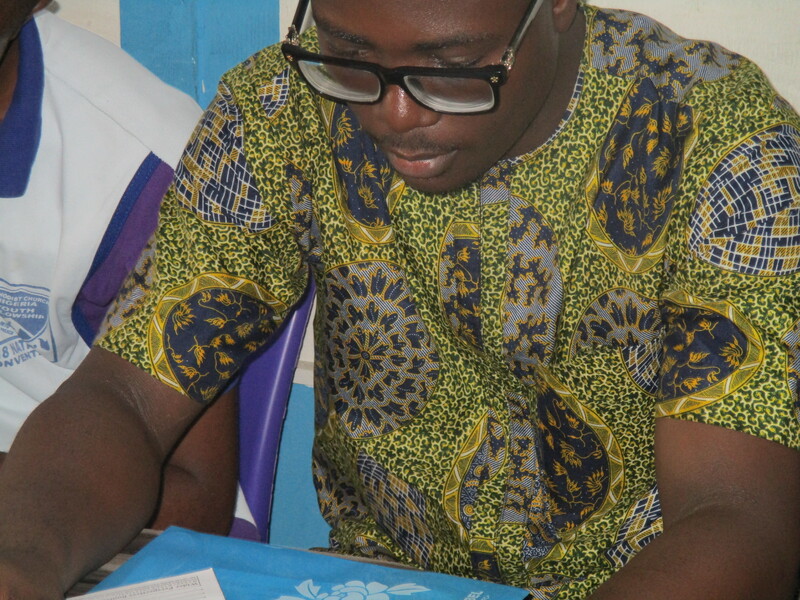 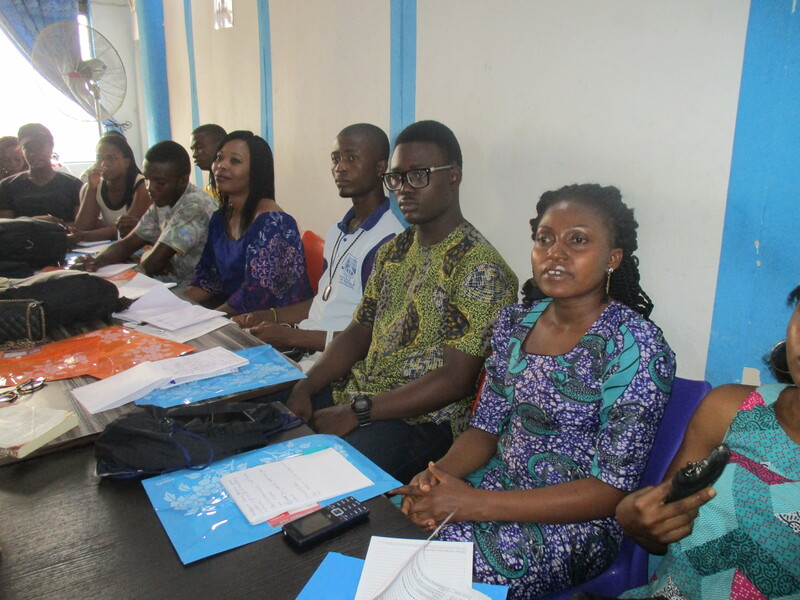 Skill Up Abia is supported by Foundation for Partnership Initiatives in the Niger Delta – PIND. 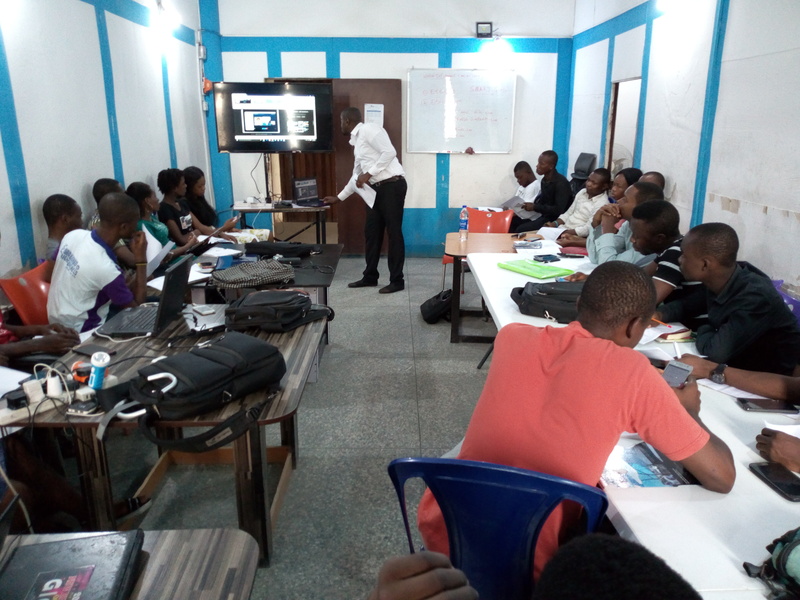 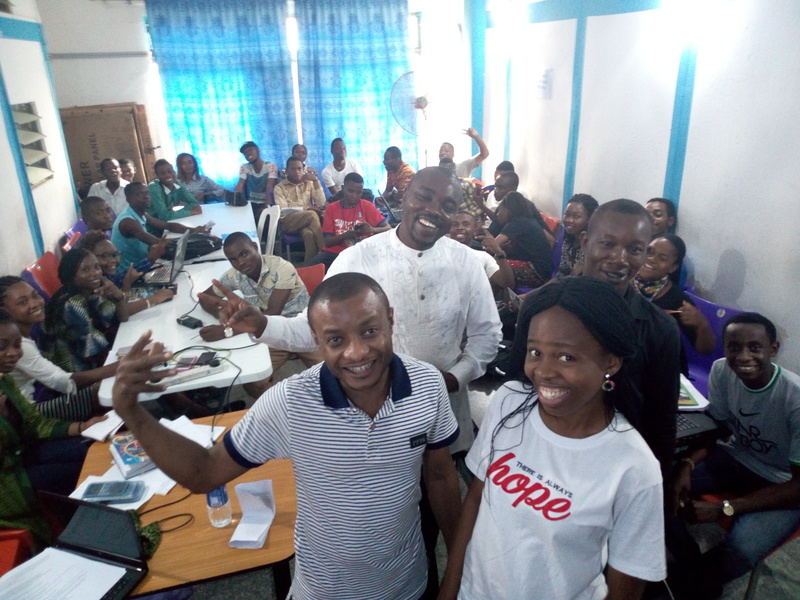 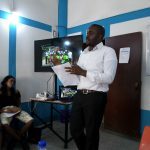 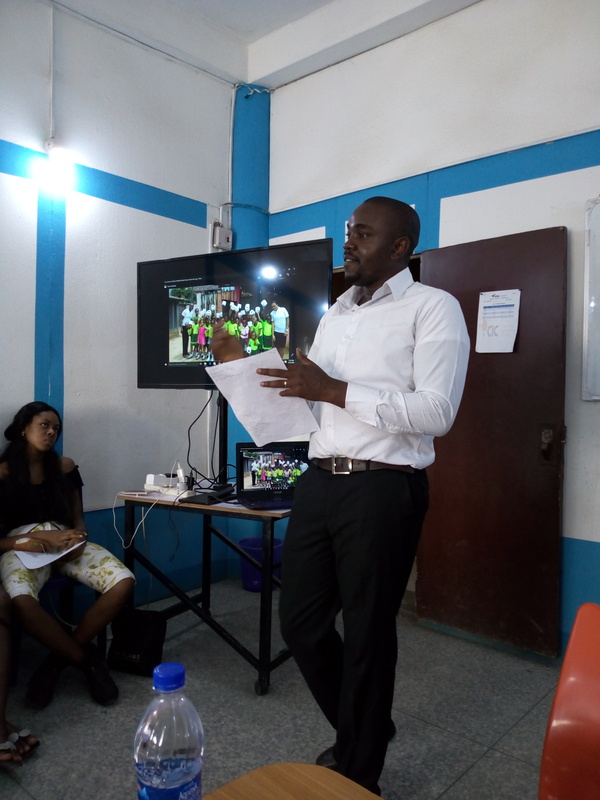 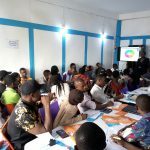 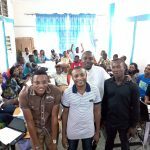 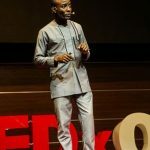 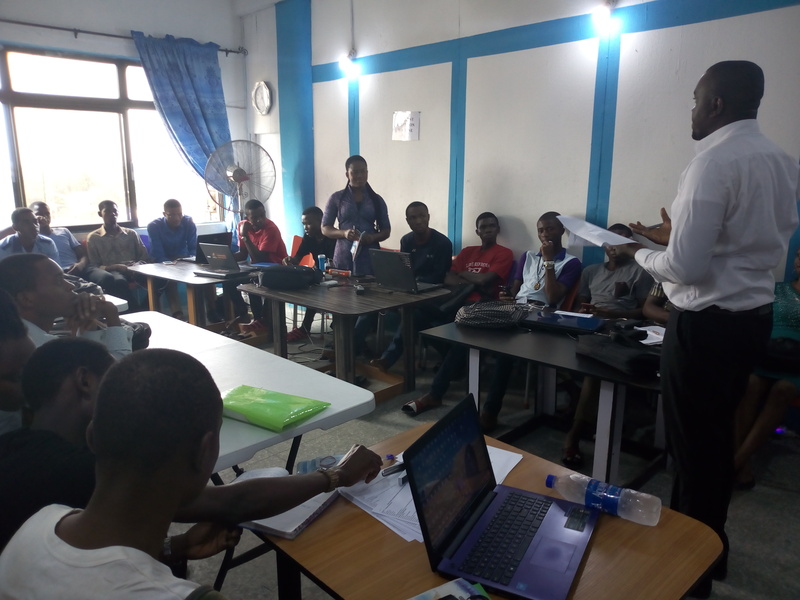 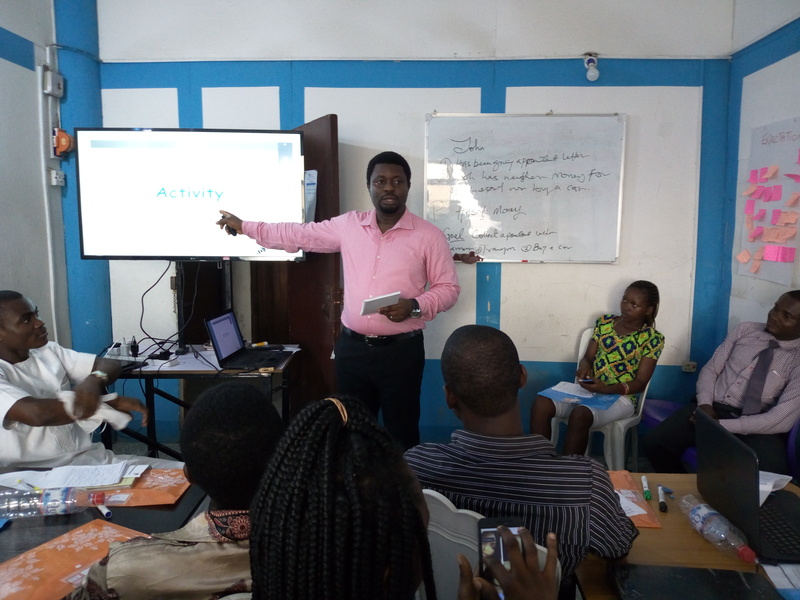 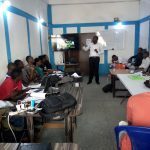 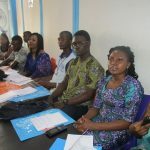 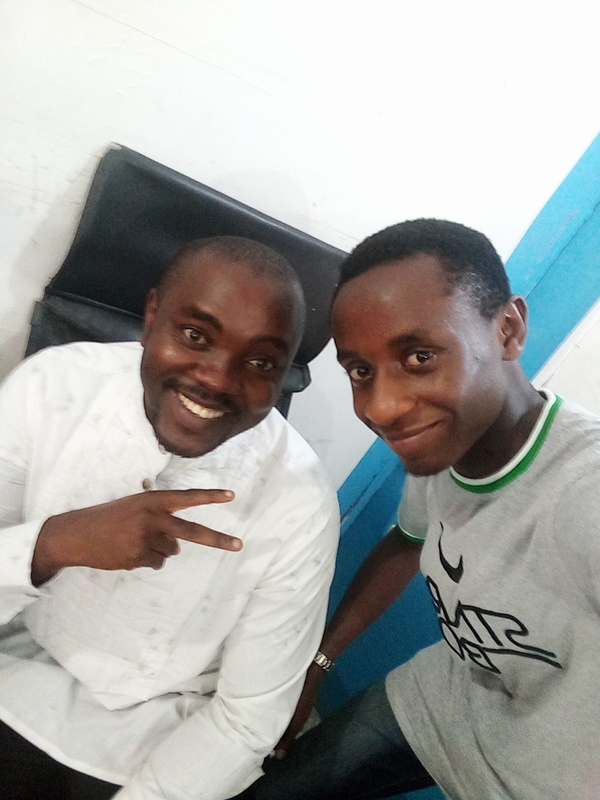 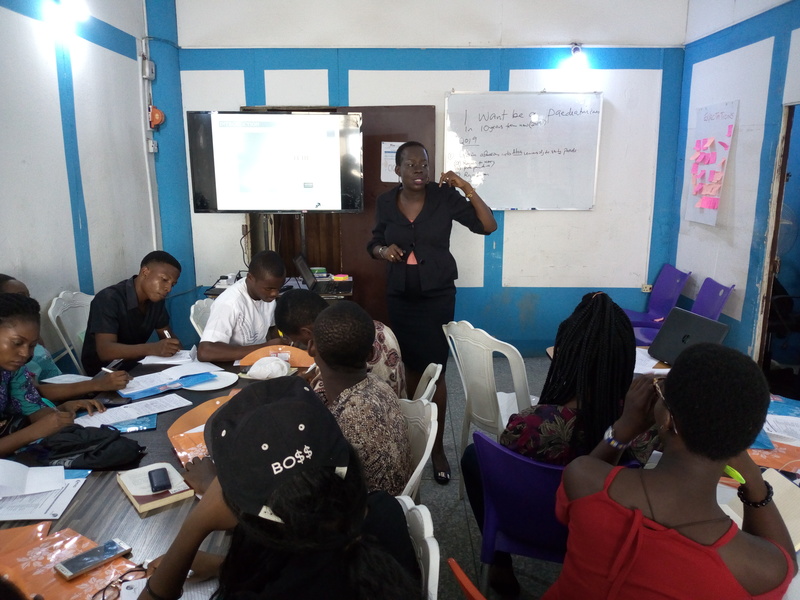 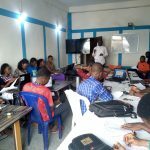 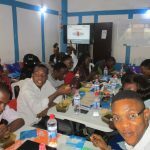 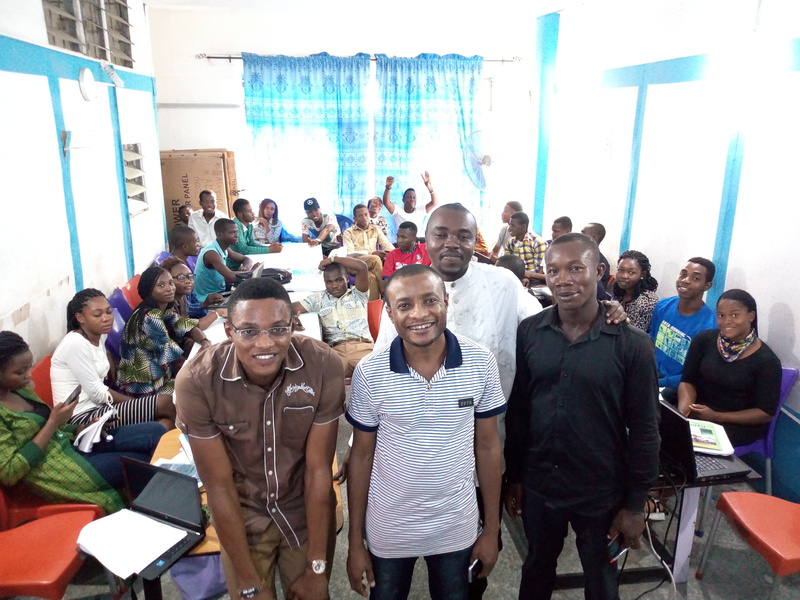 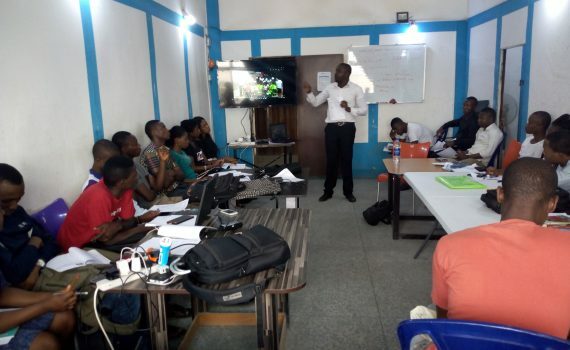 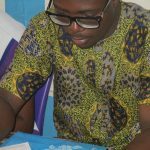 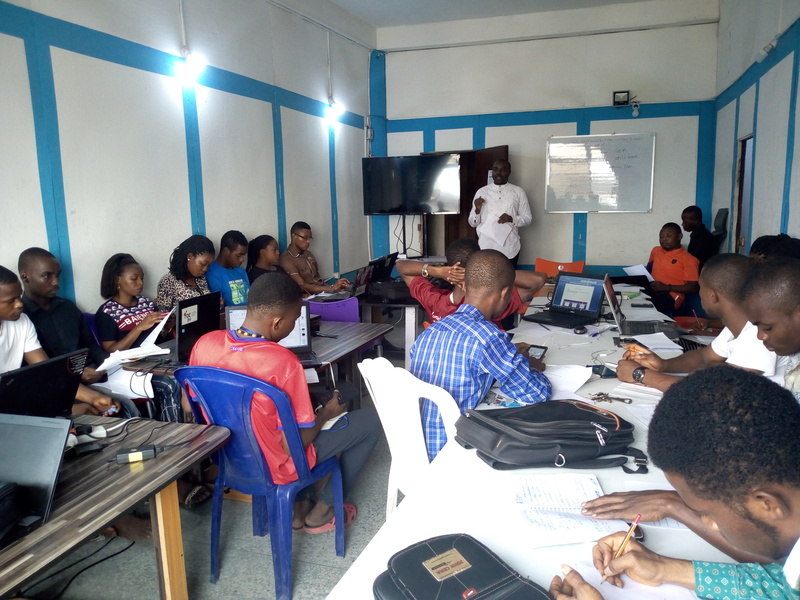 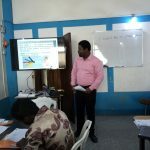 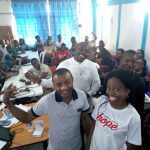 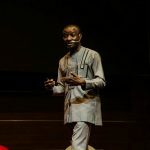 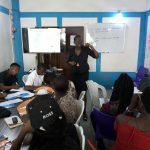 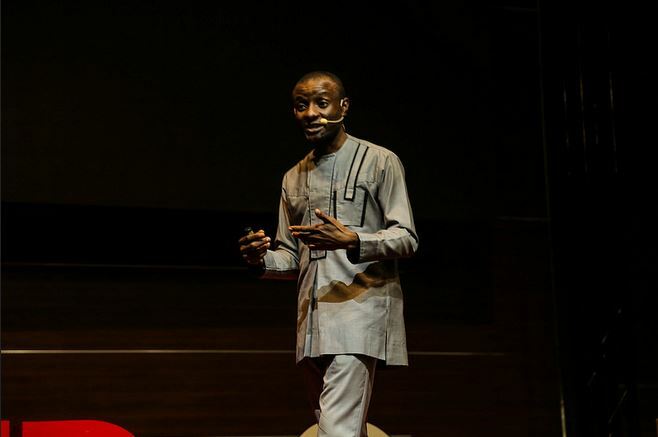 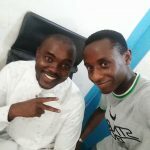 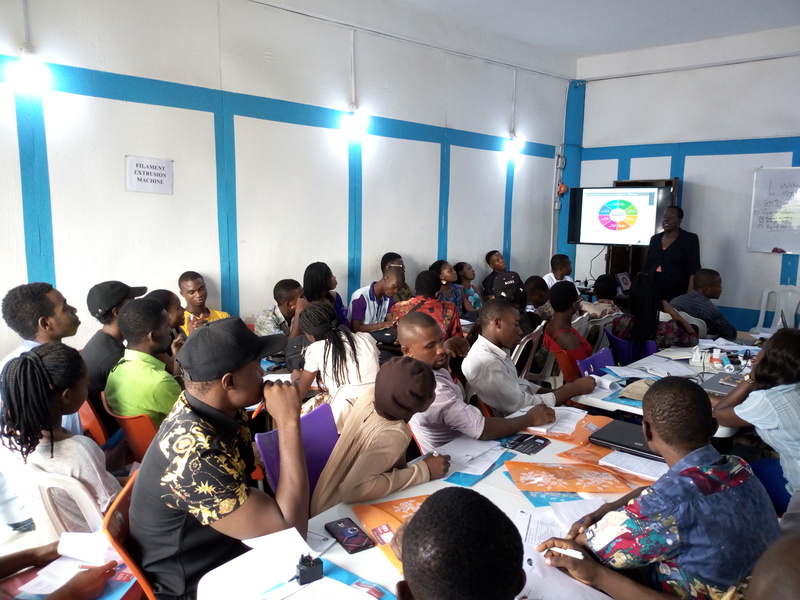 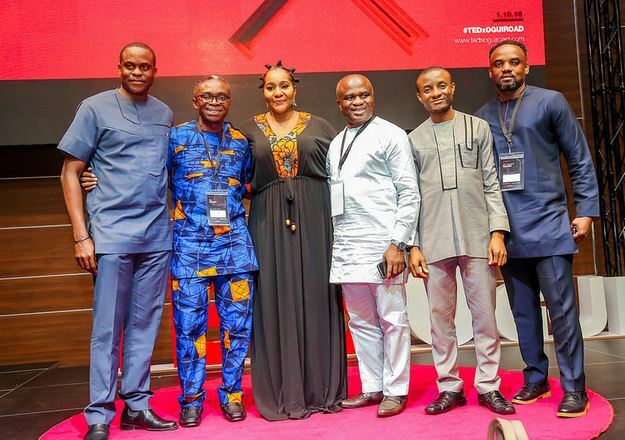 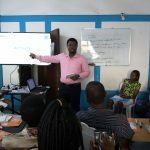 To ensure funding does not inhibit #SkillUpAbia graduating trainees, Clintonel Innovation Centre (CIC) organised a 2-day funding workshop, anchored by Tochukwu Emelone who has won several national and international awards. 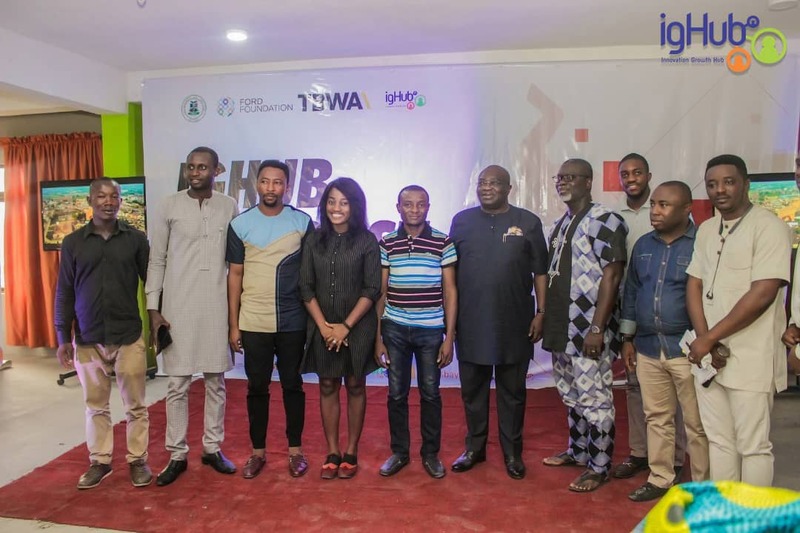 Watch out for these stars, Proudly Made in Aba! 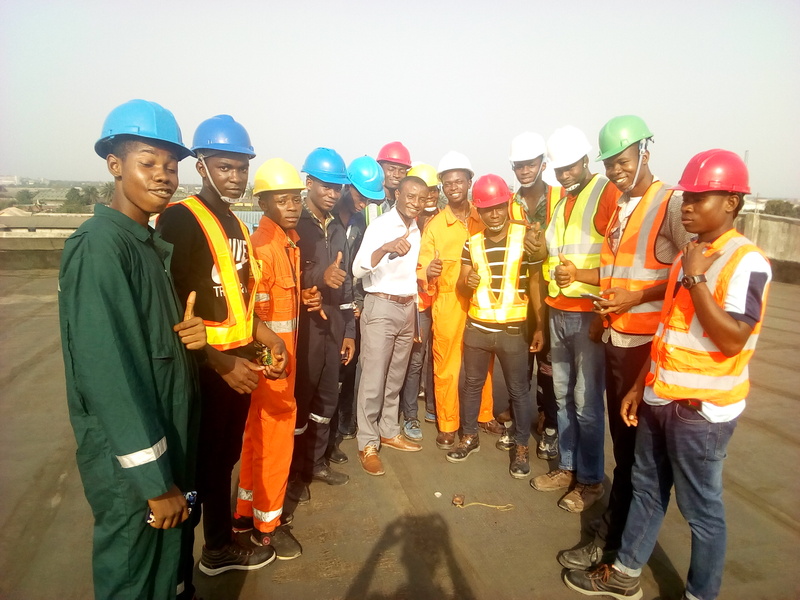 Very soon, Nigeria will begin to produce the goods she consumes, creating abundance of jobs for our youth. 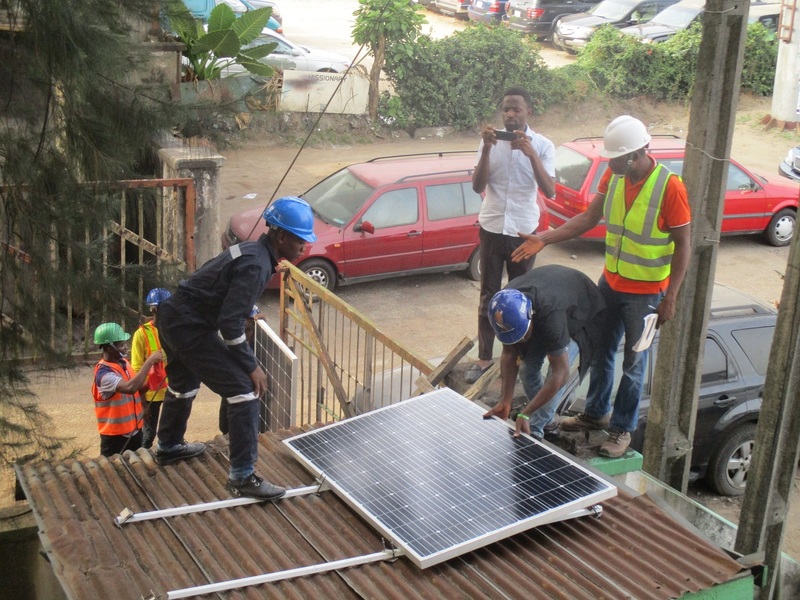 Trainees at Skill Up Abia had a first-hand experience installing solar panels on different types of roofs. 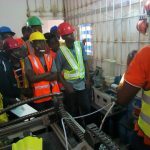 Inadequate power supply is a very serious problem in Nigeria inhibiting industrial and economic growth. 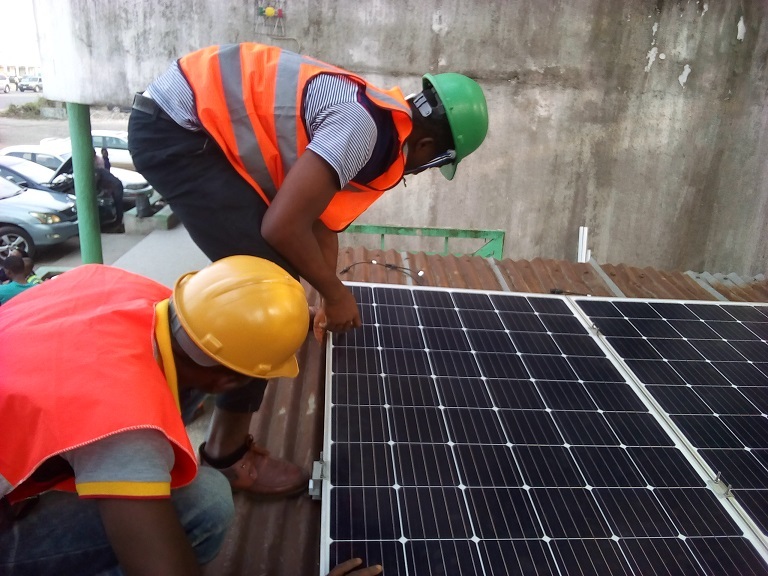 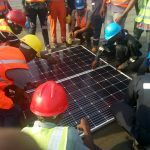 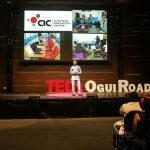 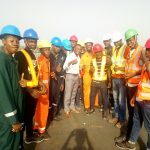 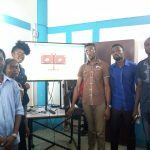 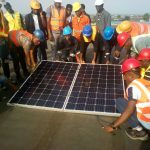 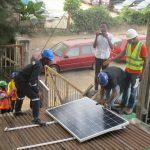 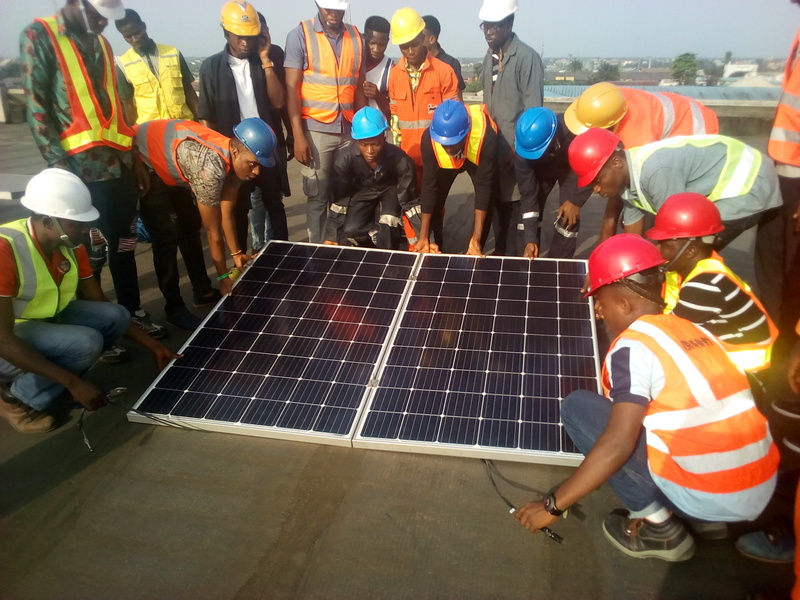 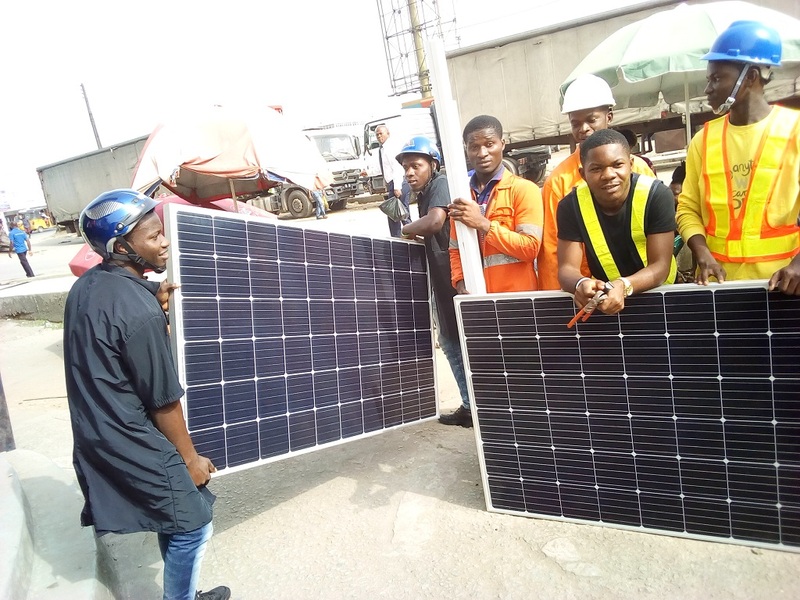 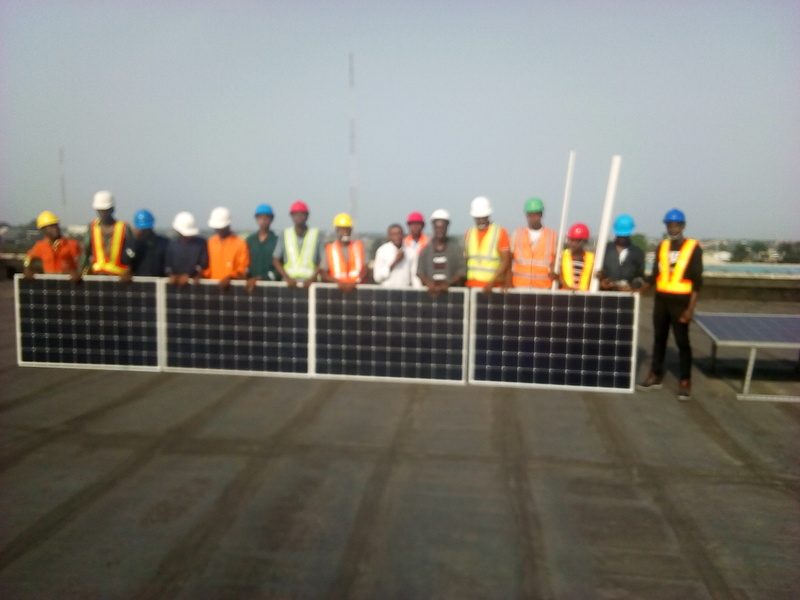 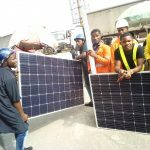 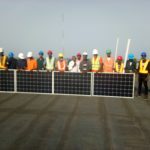 Through Skill Up Abia, Clintonel Innovation Centre – CIC Aba is training an army of young people to solve this problem harnessing renewable (solar) energy. 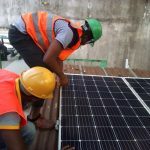 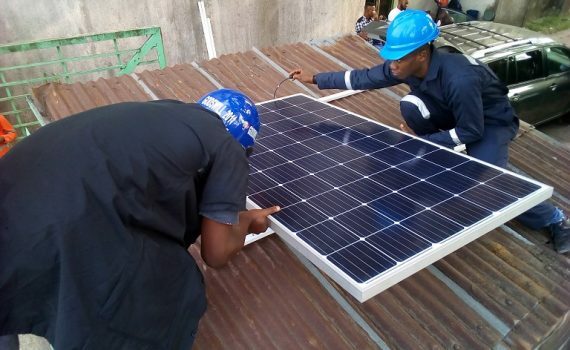 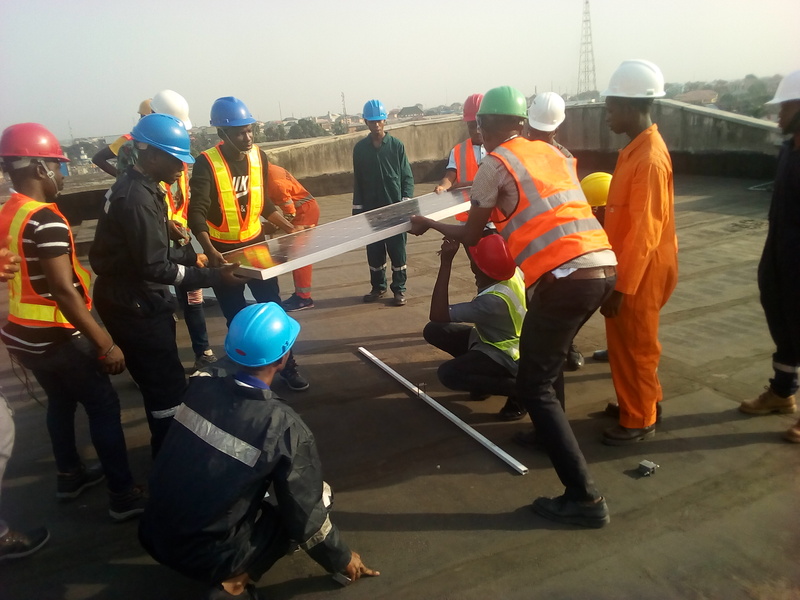 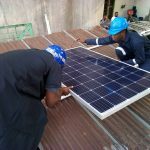 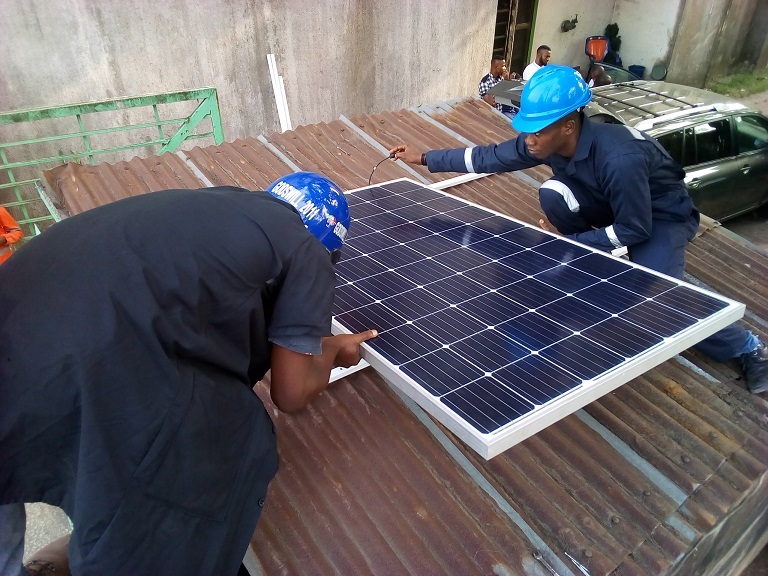 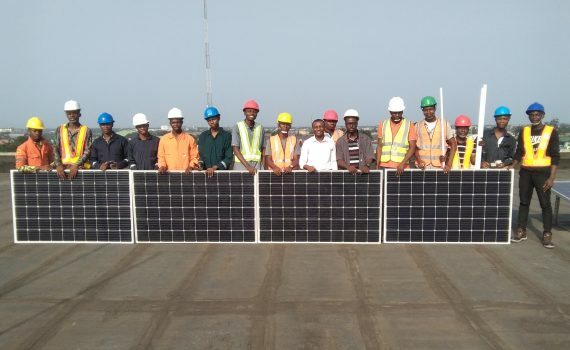 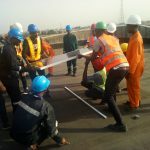 At a field work, trainees installed 1500Watts of solar energy in an office complex. 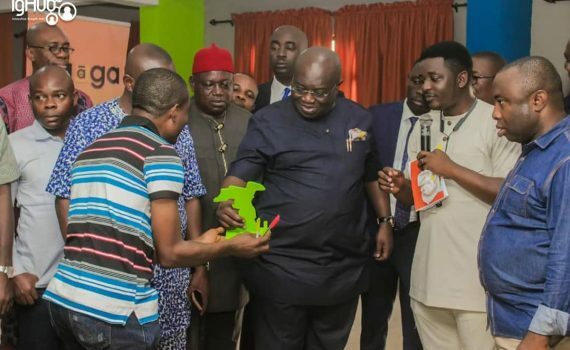 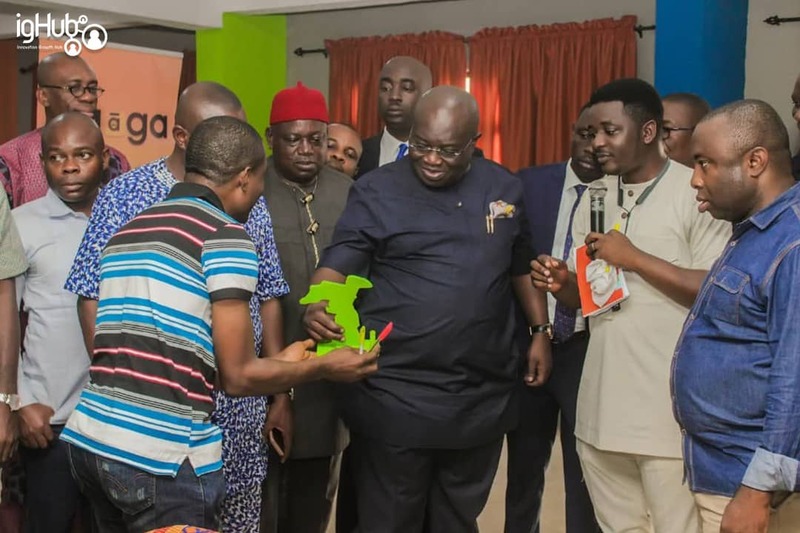 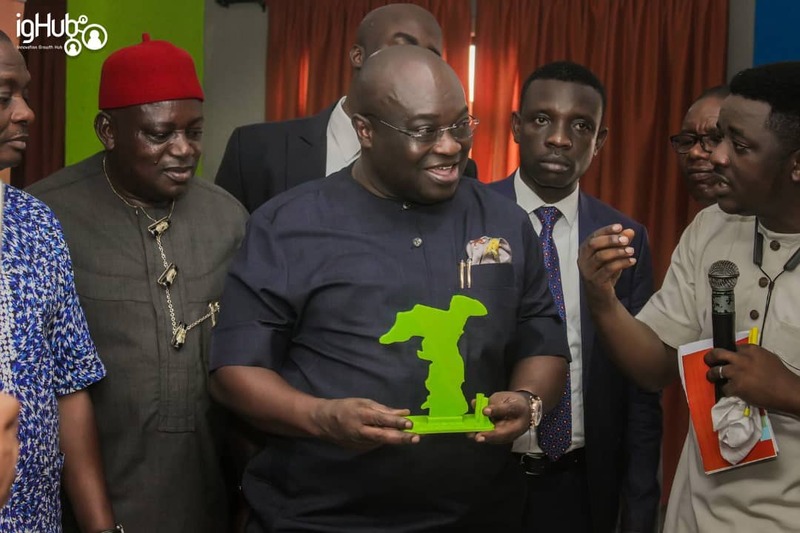 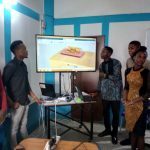 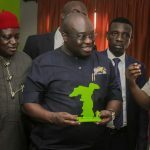 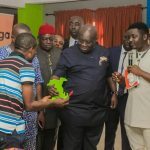 We presented a 3D Printed Desktop Map of Abia State to the executive governor of Abia State, Governor Okezie Ikpeazu at the inauguration of Proudly Made in Aba Hackathon Incubation at IgHub. 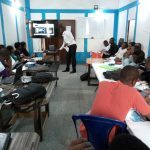 CLINTONEL Technology is poised to change the narrative of Technology in Aba and Nigeria.